To add to your growing repertoire of slow cooker recipes, here is something a bit different. If you haven't noticed, everything Chipotle is very popular right now. Chipotle peppers are not like your regular peppers. They are jalapenos that have been smoked which gives them a really delicious flavour. Since they are so popular now you should be able to get them at any grocery store. 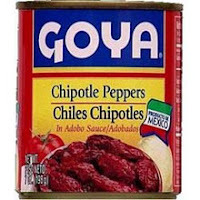 They usually come canned in adobo sauce in the Mexican foods section of your store. Since you don't use very much in this recipe, you can freeze the rest. I would put enough for one recipe into each ice cube tray along with some of the sauce and freeze them that way, then once frozen store in a Ziplock bag. That way you can just take out a cube each time you want to make this recipe. 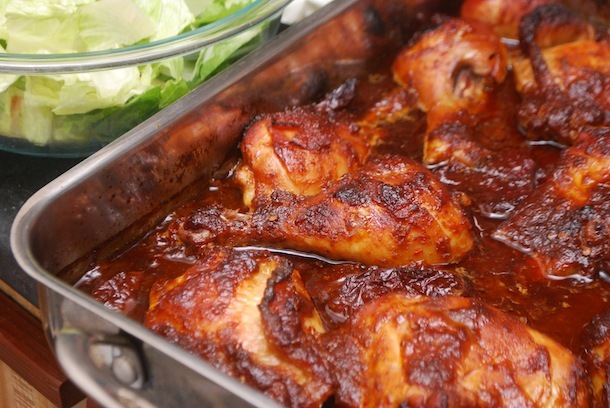 - Put the oil into a large skillet and brown the chicken legs, just so they are browned on all sides. You can skip this step if you're in a hurry, but browning does give them extra flavour. - Put all the sauce ingredients into a blender and blend until the chilies are incorporated. Pour the sauce over the chicken legs, distributing evenly so they are all covered. - Set your slow cooker to low and cook for 4 hours. - Remove the chicken legs onto a plate. - Add the arrowroot (or whatever thickener you want to use) to the sauce and cook until thickened to your liking. You can leave this step out as well if you like the sauce the way it is. (will freeze) Serve with salad and slices of avocado. 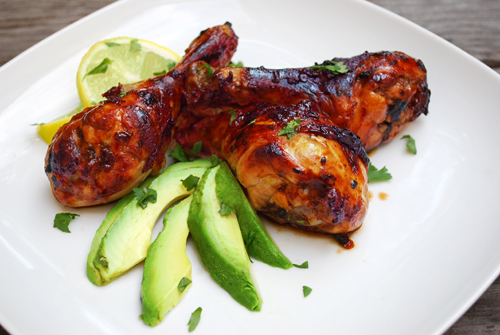 You can also use this sauce to barbecue the chicken instead. 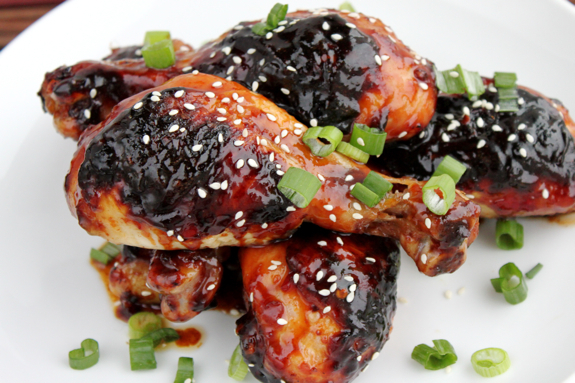 Just marinate for an hour or two in the sauce, then remove and cook the chicken. Thicken the sauce and serve on the side.